These can be enriched by relating the trails to the Maths within outside objects. Number Lines – it is great if you can use 1,2,3,4,5… and 10, 20,30,40 … number lines to make games around number work, estimation and most calculation subjects. The use of a large white board or big question cards enable enjoyable games to be created. Putting numbers on students backs and playing chase games can be a way to do mental arithmetic. This can be further refined by using a netball and two teams. 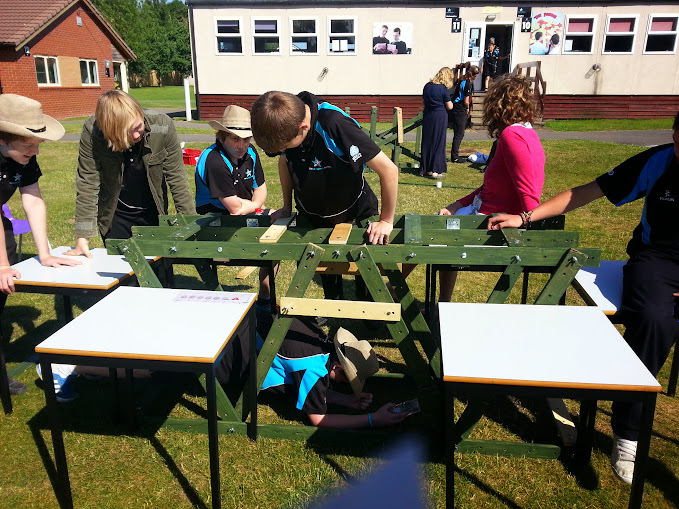 One resource I like to use is giant Meccano which enables a large range of objects to be constructed outside. This allows exploration of shape, functional calculations, measurement and much more. Sand pits can be used to make 3D models to explore scale. The sand will need some water adding to it to allow it to be modelled. The forest school environment creates a whole area of maths exploration. Here the natural aspects of the environment often drive the maths. Creative learning do a lot of geometric exploration with sticks which can be really great fun. Another area is the exploration of patterns within nature. These can be described in Carroll diagrams or series to investigate their mathematical properties. There are many map adventure lessons that can be developed. These range from making maps of woodland areas to navigating a woodland using bearings and maps. Make natural fire lighters out of wax, leaf and dried grass. Find the best ratio mix. Find the bending moment of wood. Make a stand which holds a 100cm length of wood at both ends. Then suspend weights and measure how far the wood will bend. Present the results graphically and discuss how this can be used to inform shelter building. This can then be used to select woods to build a “bender” shelter. Create a scale model of a structure and use it to determine the amount of wood required to build a full scale dwelling. The best model can then be developed by the class. Build and cost bridges. This can be used to look at geometry and functional skills. Make a functional weight scale. Make fixed 1 kg weight logs. Then measure different objects. My husband saw your post on the CAS forum. Thank you some inspirational ideas that have come at a perfect time as we begin to structure the new curriculum in our school. We will certainly be using some of your ideas. 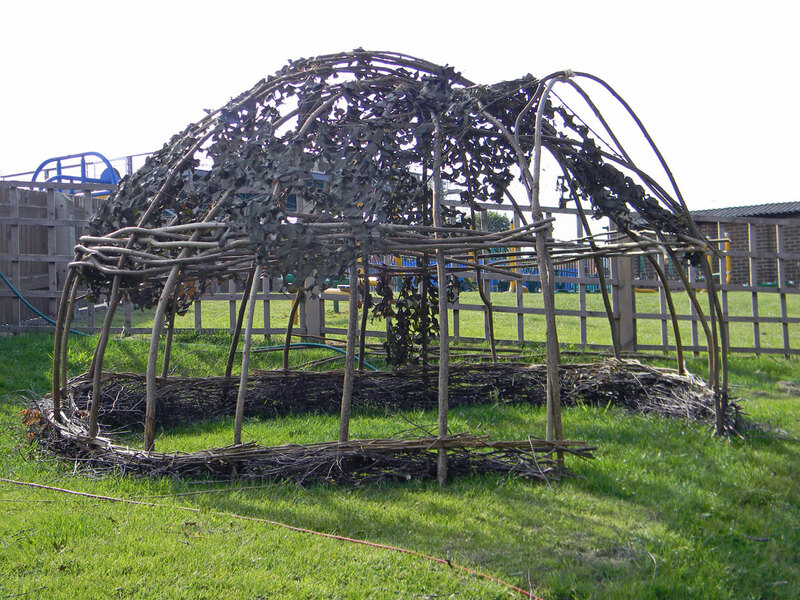 There are more ideas in the blog on Outdoor Maths. I would particularly draw your attention to http://creativestarlearning.co.uk/ I think Juliet does a fantastic job.